How can you hit your adversary where it hurts? Poland recently made an ostensible move against Russian interests in Warsaw by sidelining Soviet-era graduates of Russia's most prestigious academic institution - the Moscow State Institute of International Relations (MGIMO) - from its foreign ministry. Gradual dismissal of MGIMO alumnae from senior positions at home and abroad has been underway since the Law and Justice Party (PiS) came to power in 2015. Rather than diminishing Russian influence - purportedly exercised through MGIMO graduates - the move weakens vital expertise at a time when Russian-speaking specialists with the necessary regional knowledge, appreciation of current events, and contacts across the region are most needed. Although the new personnel policy is believed to have affected Soviet-era graduates of all Russian universities, MGIMO alumni have been singled out in the foreign ministry's public statements. As stated by foreign minister Jacek Czaputovicz, "the management changed almost 100 percent. In particular, currently in management positions there are no persons who were members of the communist services, or graduates of the Moscow MGIMO". According to Czaputovicz, such a personnel turnover was "necessary for the effectiveness of the ministry". The reshuffle of personnel in Poland is flawed for three reasons. First, if rotation is necessary for effective work, as claimed by the foreign ministry, why do official statements single out Soviet-era graduates of MGIMO in particular? "Since they were trained in the Soviet Union, it is undesirable they should hold leading positions in the foreign ministry." As one of the most prestigious academic institutions in the former Soviet Union, MGIMO attracted the best and brightest minds from all across the Soviet space, and provided access to a vital network of contacts across the region. Some of its well known European graduates include Miroslav Lajcak, outgoing president of the United Nations General Assembly, or Maros Sefcovic, the European Commission's vice-president for the energy union, to name but a few. Because MGIMO is known to serve as an important channel of Russia's unofficial political dialogue with many countries, the new personnel policy can also be interpreted as a pre-emptive move to prevent diplomats - believed to hold 'pragmatic' views towards Russia - from pioneering a Polish-Russian rapprochement. Some would go as far as to argue that the move was motivated by fears of infiltration of diplomatic ranks through the university graduates. Second, rotation of senior staff inevitably leads to the loss of knowledge and continuity (which is hardly unique to Poland). Relations between Poland and Russia have hit a rough patch and senior diplomats consider both diplomacy and unofficial communication between the two countries to be difficult in the current environment. Should Poland seek rapprochement with Russia in the future, personal contacts its MGIMO-educated personnel developed throughout its academic and professional career would be of great value for diplomatic and business relations alike. Take Ukraine as an example: Despite its de-communisation legislation and growing anti-Russian sentiments among the population, Ukraine continues to maintain both formal and informal dialogues with Russia, and so should Poland. Third, at a time when much attention in Poland focuses on the threat emanating from the East, the government should invest in people who understand the Russians, instead of firing them. In order to understand and interpret Russian foreign policy accurately, it is necessary to be able to follow the debates in Russia, also on social media, in Russian, as well as to appreciate historical, social and cultural context in which communications take place. After the collapse of the Soviet Union, the West believed Russia would jump from communist rule to democratic consolidation relatively easily. As a consequence, much of the knowledge infrastructure has been dismantled, many Slavic studies centres have been closed down or otherwise downscaled, and much of the scale of existing expertise has been drastically reduced. It was not until the crisis in Ukraine and the downing of MH17 when Western countries realised how insufficient their knowledge and capacity for collecting and interpreting information on Russia has become. Having dismissed the 'old school' personnel, is Poland doing enough to train new specialists who not only have the necessary language skills but also sufficient experience to appreciate current trends and developments in Polish-Russian relations? Fresh blood is good, but according to some sources, the qualification level of new personnel, as well as entry requirements, have been lowered. With regards to knowledge on Russia, Poland has a competitive advantage, which the country should leverage to constructively influence decisions taken by the European Union and Nato alike. 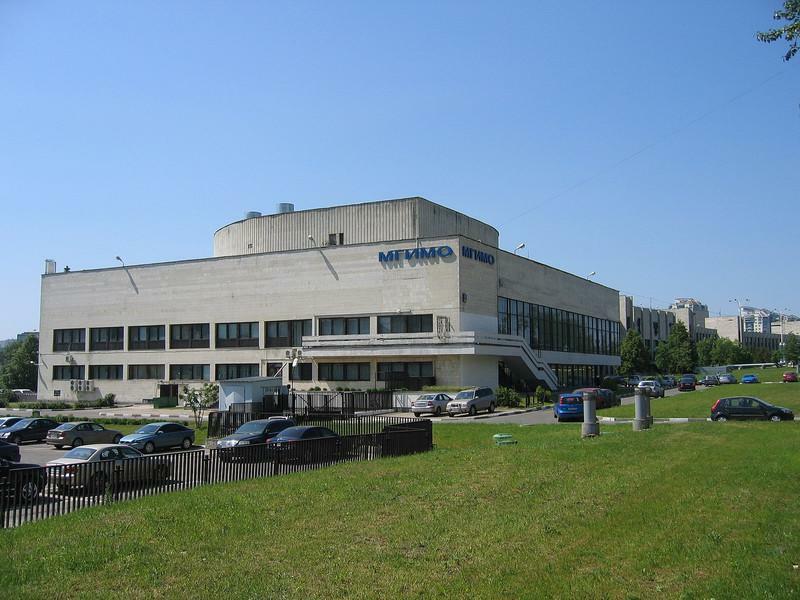 Lastly, sidelining Soviet-era MGIMO graduates not only weakens Poland's knowledge base on Russia, but it also undermines the name and the quality of education MGIMO continues to offer. Polish leadership should avoid that its efforts to de-communise Polish society, which have strained Polish-Russian relations further, do not turn into a witch-hunt of Soviet-era MGIMO graduates.